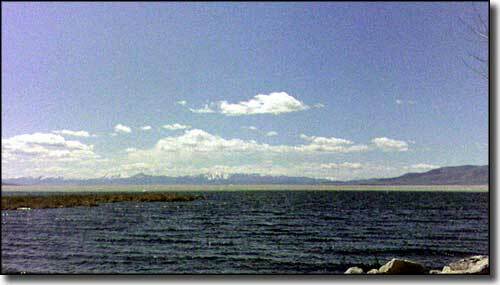 Utah Lake State Park is along the shoreline of one of the largest bodies of fresh water in the western states. Utah Lake is large and offers excellent fishing for several species of panfish, plus black bass, white bass, walleye and channel catfish. This is a place where it's easy to spend a few quiet days canoeing, power boating, sailing or just fishing the time away in a beautiful setting. 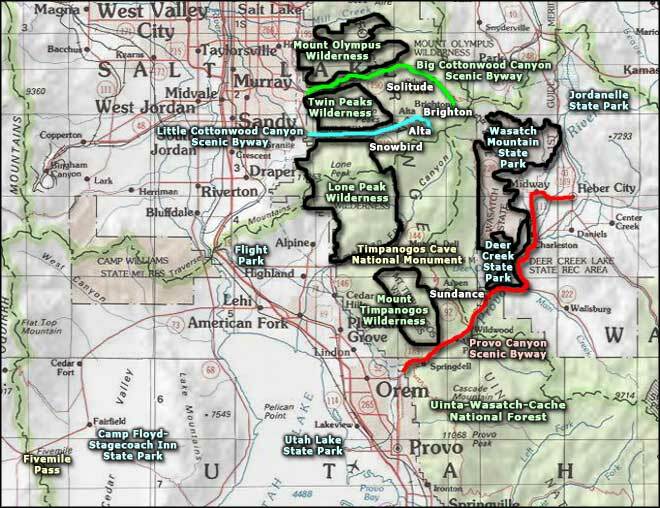 The first recorded visit to Utah Lake by Europeans was that of the Dominguez-Escalante Expedition as they were trying to find a route between Santa Fe, New Mexico and Monterey, California in 1776. One member of the party reported back to the King of Spain saying "This place is the most pleasant, beautiful and fertile in all New Spain." 50 years later, a group of fur trapping mountain men came for a visit and one of them, Jedediah Smith, sent off a letter in 1827 that referred to the lake as "Utah Lake." John C. Fremont came to the lake twice, in 1844 and again in 1845 (with Kit Carson as his main guide). The main contingent of Mormon pioneers began arriving in 1847, also attracted by the sheer beauty of the place. In 1933, local civic leaders made an application to the Civilian Conservation Corps for help in building a year round boat launch facility on the lake. Within a few years a full marina was in place. At that point, the City of Provo started constructing picnic and camping facilities along the shoreline. Utah Lake State Park is open year round except for Thanksgiving, Christmas and New Year's Day. Summer hours are 6 AM to 10 PM, winter hours are 8 AM to 5 PM. The $9 day use permit covers use of the boat launch facilities. You can also buy a $75 annual Utah State Parks pass at the Utah Lake State Park Visitor Center. Overnight camping at the Lakeshore Campground (water and electric) will run you $20 per night. Utah Lake State Park is 3 miles west of exit 265 on the I-15. Photo of Utah Lake courtesy of David Jolley, CCA ShareAlike 3.0 License.